Users experience your business through one common denominator: the network. Even though a number of components are constantly working together to complete user requests, from their perspective it&apos;s all one experience — and with ExtraHop, your monitoring solution will behave the same way. ExtraHop processes network traffic at 100 Gbps, delivering real-time wire data analytics that give you rich performance metrics for internal and external web services and API calls as well as end-user experience metrics related to web form submissions and usernames. 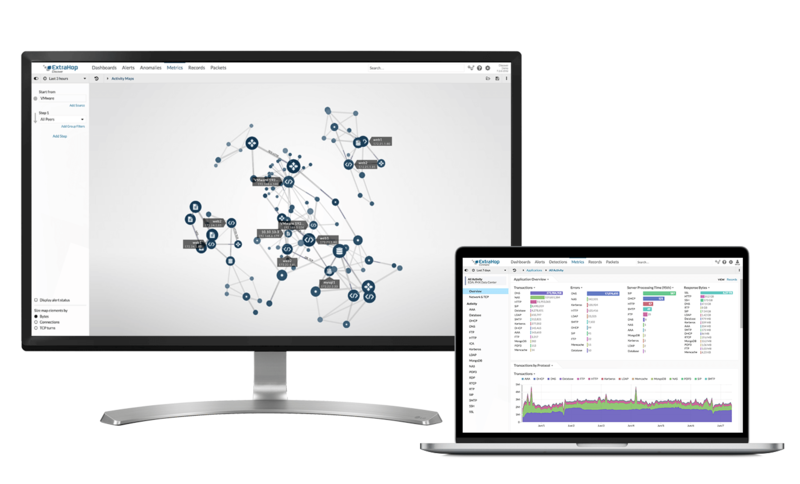 Not only does ExtraHop automatically discover and classify every asset on your network without the use of agents, probes, or synthetic transactions, advanced machine learning automatically correlates events across the network, load balancers, databases, and storage tiers so you can quickly pinpoint and resolve the cause of poor user experience. In a single, easy-to-navigate UI, you can quickly correlate precise performance data across every tier of your infrastructure with user segments broken down by browser, platform, location, timestamp, and specific parts of each revenue-generating application accessed. Machine learning automatically detects performance anomalies in real time, giving your team full context (including precise packet details) of any issues—for example, during application rollouts or cloud migration—so you can proactively resolve the issue before it affects your end users and your business. Not only does ExtraHop dramatically speed up issue detection time, it also puts you three clicks away from the root cause of performance issues from anywhere in the UI so you can quickly focus human expertise on serious problems and automate additional response workflows in incident management platforms like ServiceNow. Visibility ... is critical to delivering a seamless and secure experience for our customers and associates. ExtraHop allows for a much deeper understanding and more accurate representation of what's happening at every store. Seconds count. If your digital services are slow or unavailable, customers will go elsewhere. IT organizations are being asked to support diverse, distributed applications and infrastructure, but traditional log or agent-based monitoring tools aren&apos;t up to the task. As a result, you&apos;re working harder but struggling to deliver the experience users demand. ExtraHop provides the real-time analytics and machine learning that modern IT operations need to solve problems before users feel the pain. By combining classic methods of user experience monitoring (browser performance metrics and transaction testing) with real-time insight into network behavior as well as automatic correlation between end user issues and backend behavior, ExtraHop helps you stay on top of today&apos;s world of multiplying client devices and dynamic API-driven service.